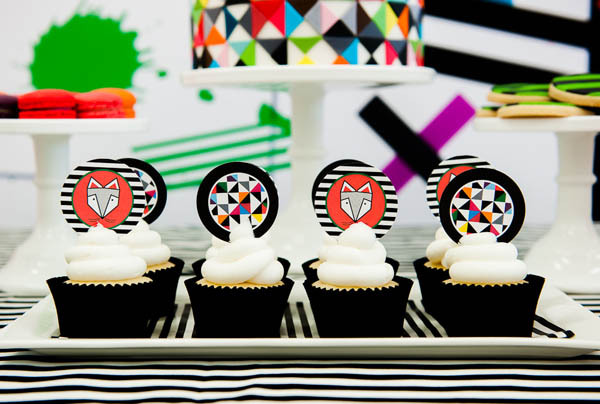 Can a kids’ birthday party be astonishingly simple yet incredibly lavish at the same time? It most certainly can, and here’s the proof! 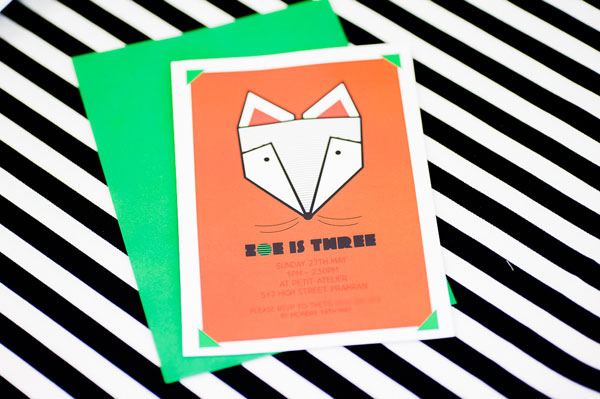 This beautiful Scandinavian fox party was created by party stylist (surprise, surprise!) Thetis Sardo, of Little Sooti fame, for her own daughter Zoe’s third birthday. 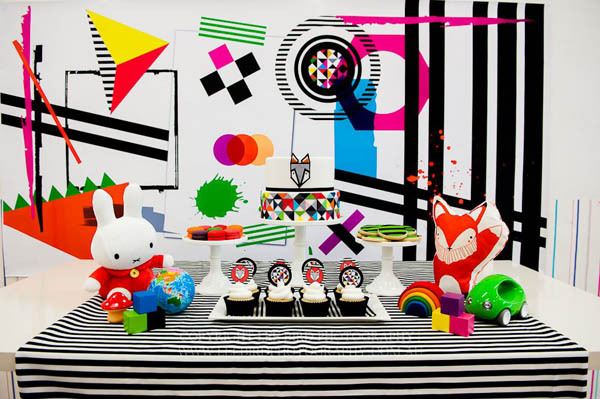 Eye-catching to the nth degree, this is one very original celebration that we simply had to show you. 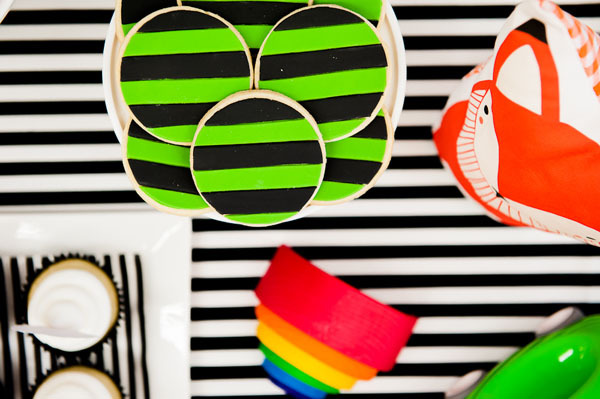 Each element of Zoe’s party is strikingly simple on its own – the black and white striped tablecloth, the classic white servingware holding their trio of treats and the selection of Zoe’s favourite toys (all with a Scandinavian connection, I might add) for a pop of colour.. But put it all together and, well, all I can say is wow! I love Thetis’ matter-of-fact honesty in revealing that while she can sure style a mean party, she contracts out the trickier bits. 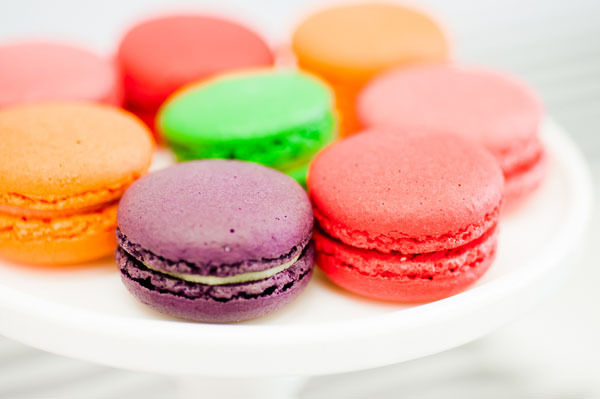 Like the party baking. The sweet treats of macaroons, cupcakes (both above) and striped cookies (below) came from the talented hands of Helen at Kiss My Cakes, along with the rather impressive birthday cake. 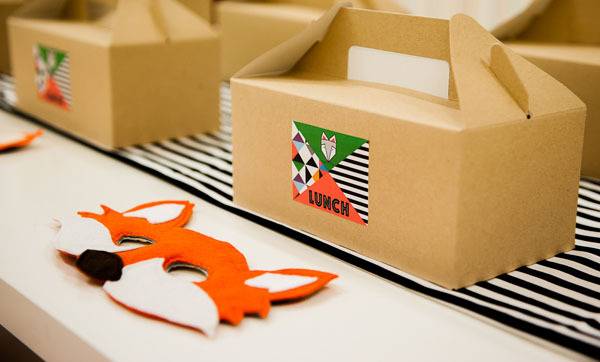 I’m also digging the fox masks laid at each place setting, right near the plain cardboard lunch boxes used to hold each guests’ party food. Each box contained a sandwich, muesli bar, muffin, a handful of chips and a drink. The invitations and other graphics came from Ham and Pea, as did that stunning bespoke backdrop, in all its mod art glory. Ham and Pea director Li-Ann, you may remember, is the creative brain behind the toy soldier and yum cha parties featured on Babyology previously. 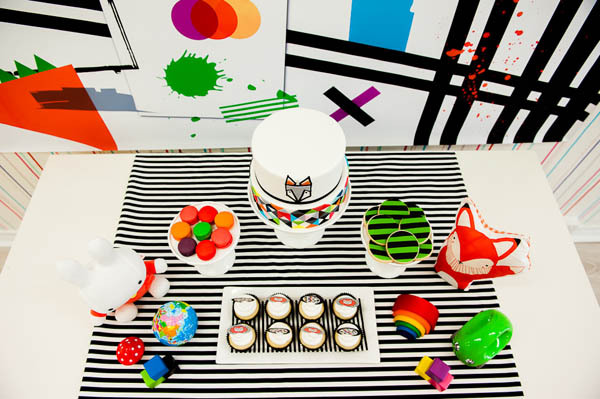 The party itself was held at kids art and crafts studio Petit Atelier in the Melbourne suburb of Prahran. Thetis tells us guests painted their own foxes on canvases as part of the fun and then heard a telling of children’s book Hattie and the Fox. 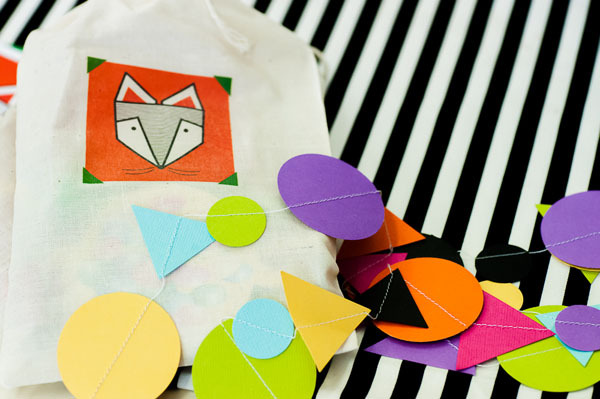 When it was home-time, guests took away with them a petite muslin bag bearing a fox logo containing some small novelties, sweets and a stamp. 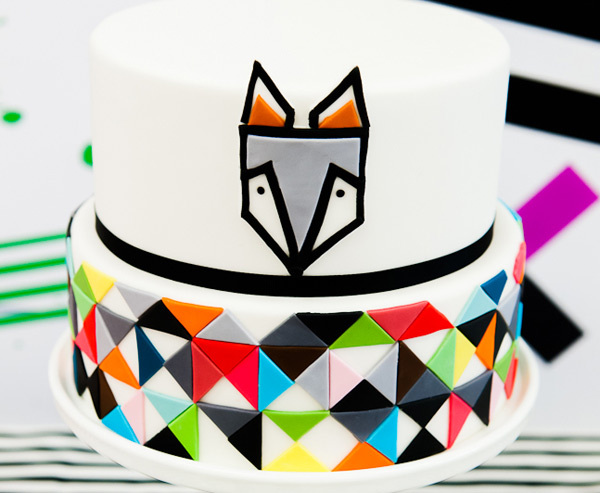 Here it is, along with the paper geometric garlands made by Dandy and Darling used to decorate the party space. 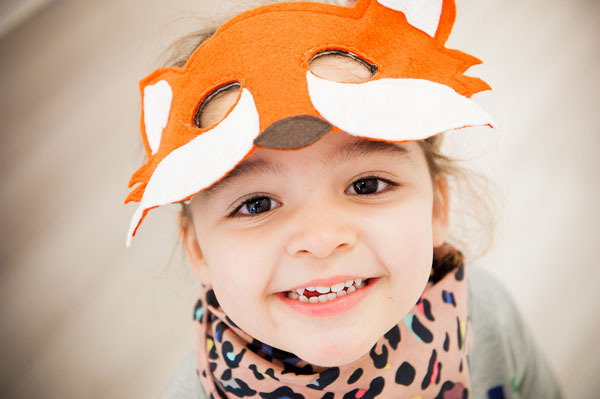 Now here’s the happy-as-a-fox birthday girl with a smile that tells us one important thing – she had the time of her little life!